Board of Directors and Senior Management - Corporate Governance - PRINX Chengshan(Shandong) Tire Co., Ltd.
Mr. Che Baozhen joined our Group in December 2005 ,he was appointed as our Director on May 22,2015. He has also been the General Manager of one of our subsidiaries Prinx (Shandong) Tire since April 2017. He has over 12 years of experience in automotive tire industry and is responsible for the overall day-to-day operations, management, administration and strategic planning of our Group. He obtained a master degree in business administration from Bond University, Queensland, Australia in October 2015. Mr. Shi Futao was appointed as our Director on October 28, 2015. Mr. Shi joined our Group in December 2005 as a financial director and was promoted to a director in November 2014 and vice-general manager of Prinx (Shandong) Tire in September 2015. He has over 20 years of experience in accounting and financial management in the PRC. Mr. Shi is responsible for the overall financial management of our Group. Mr. Shi obtained a master degree in company finance from The University of Salford in Manchester, the United Kingdom in December 2002. He was admitted as a nonpracticing certified accountant by the Chinese Institute of Certified Public Accountants (“CICPA”) in 1995. Mr. Shi was recognized as a Senior International Finance Manager (“SIFM”) by the International Financial management Association in December 2011. Since January 2016, Mr. Shi has been a fellow member of the Chartered Institute of Management Accountants (“CIMA”) in the United Kingdom and a Chartered Global Management Accountant of the American Institute of Certified Public Accountants in the United States, respectively. Ms. Cao Xueyu was appointed as our Director on March 5, 2018. She joined our Group as a director of Prinx Investment on July 1, 2016. Ms. Cao is responsible for the overall management, administration and strategic planning of our Group. Prior to joining our Group, Ms. Cao was a cost accountant and sales accounting supervisor in Nestle Qingdao Limited from June 1994 to January 1997. Ms. Cao was awarded with the New Zealand Diploma in Business by the Auckland University of Technology, New Zealand, in April 2003. She was recognized as the Associate Chartered Management Accountant by the Chartered Institute of Management Accountants since November 2015. In October 2016, Ms. Cao was admitted as a certified accountant by the Certified Public Accountant Australia (“CPAA”). Mr. Che Hongzhi is the founder of our Group. He was appointed as our Director on May 22, 2015. He was re-designated as our non-executive Director on March 5, 2018. He was also appointed as the chairman of the Development Strategy and Risk Management Committee on September 10, 2018. He has approximately 18 years of experience in tire production industry and is responsible for providing professional opinion and strategic direction to our Group. Mr. Che obtained a professional certificate in chemistry from Yantai Education College. Mr. Wang Lei has been appointed as our Director since April 20, 2017. He was re-designated as our non-executive Director on March 5, 2018. Mr. Wang is responsible for providing professional opinion and judgment to our Group. He obtained an undergraduate degree in economic management from the CPC Shandong Provincial Committee Party School. Mr. Chen Yansheng was appointed as our Director on October 28, 2015. He was re-designated as our non-executive Director on March 5, 2018. He is responsible for providing professional opinion and judgment to our Group. He obtained a master degree in vehicle and field engineering from Jiangsu University. Mr. Zhang Xuehuo is the founder of China Mineral Ventures, also founded China Gold Development Group (H.K.) Limited and Shandong Guoda Gold. He was appointed as our independent non-executive Director and the chairman of Nomination and Remuneration Committee, a member of each of the Audit Committee and Development Strategy and Risk Management Committee on September 10, 2018. Mr. Zhang obtained a bachelor’s degree in international trade from The School of International Trade, Xiamen University. Mr. Choi Tze Kit Sammy has been the independent non-executive director of Food Wise Holdings Limited ,Ernest Borel Holdings Limited and Fufeng Group Limited.He was appointed as our independent non-executive Director and the chairman of the Audit Committee and a member of the Nomination and Remuneration Committee on September 10, 2018. Mr. Choi has over 30 years of experience in finance and auditing. Mr. Choi graduated from Hong Kong Shue Yan College. He is a fellow member of the Institute of Chartered Accountants in England and Wales (“ICAEW”), a fellow member of the Association of Chartered Certified Accountants (“ACCA”), a fellow Certified Public Accountant of the Hong Kong Institute of Certified Public Accountants (“HKICPA”), a fellow member of the Taxation Institute of Hong Kong and a fellow member of the Hong Kong Institute of Directors. Mr. Wang Chuansheng has been the director of Academic Division of Engineering in Qingdao University of Science & Technology. He was appointed as our independent non-executive Director and a member of each the Audit Committee and Development Strategy and Risk Management Committee on September 10, 2018. Mr. Wang obtained a doctor degree in chemical process mechatronic engineering from School of Mechanical Engineering. Mr. Wang was awarded with the Second-Class National Science and Technology Progress Award by the State Council of the PRC. Mr. Qu Xuexin joined our Group in March 2006. He is responsible for the overall management of the manufacturing centre, equipment productivity centre (including equipment engineering system) of our Group. Mr. Qu obtained undergraduate bachelor degree in rubber machinery engineering from the chemical machinery faculty of Shandong Chemical Engineering Institute. Mr. Ju Xunning joined our Group in March 2006. Mr. Ju was responsible for the overall operation and management of the semi-steel business department of our Group. Mr. Ju was awarded with a professional diploma in rubber engineering by Qingdao University of Science & Technology. Mr. Liu Changbo joined our Group in August 1990. He is responsible for the development of our new products, products improvement, our overall technology management and the formulation of technological standard of the Group. Mr. Liu obtained a bachelor degree in rubber engineering from Qingdao University of Science and Technology. Mr. Liu Weicai joined our Group in November 2017. He is responsible for the overall human resources work of our Group. 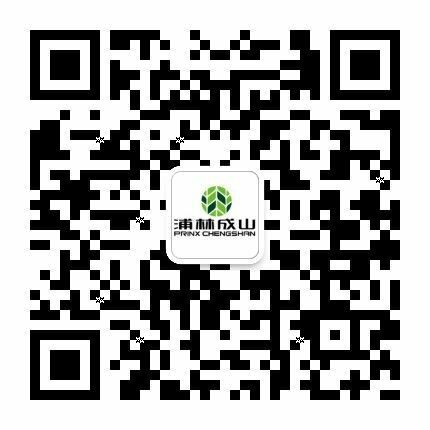 Prior to joining our Group, in March 2006, Mr. Liu was the partner of Jinan Beite Management Consultants Company Limited and the human resources manager of Fufeng Group Limited. He obtained a master degree in business management from Shandong University and the mid-tier business management qualification from the Ministry of Personnel of the PRC. Mr. Wang Yu joined our Group in February 2004. Mr. Wang was responsible for the overall sales of commercial vehicle tire replacement of our Group. Mr. Chu Xiaohua joined our Group in 2017. Mr. Chu is responsible for the overall international sales of our Group. Mr. Chu obtained a bachelor degree in international economics and trade from Qingdao University of Technology. Mr. Che Jing joined our Group in 2017. Mr. Che is responsible for the domestic sales of our original equipment products, development, management and maintenance of our sales channels. Mr. Che obtained a bachelor degree in corporate management from Yantai University.